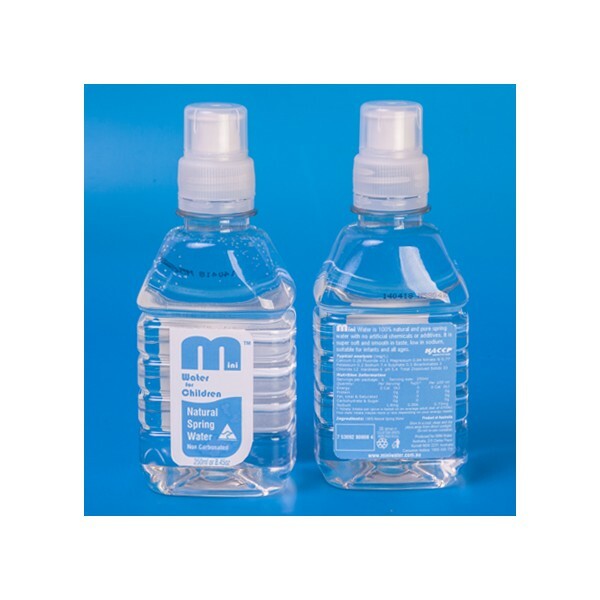 Mini Water brand, 250ml natural spring water, convenient pack size with a pop-up top for young children. Suitable for freezing to put in lunch boxes or out and about. This product is sold 24 bottles per case, with a minimum order of 4 cases. 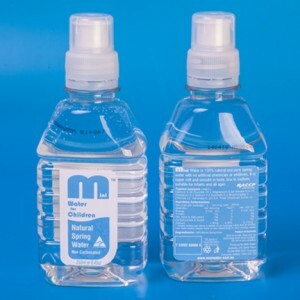 Mini Water brand, 250ml convenientpack size with a pop-up top for young children. Suitable for freezing to put in lunch boxes or out and about.